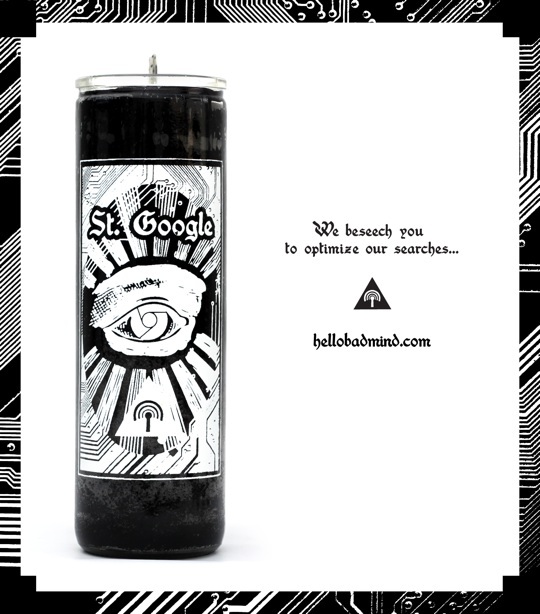 St. Google Prayer candles explore the relationship between sacred and digital space and the possibility for practices that bridge these seemingly disparate realms. They debuted at Franklin Street Works Gallery for “House Arrest.” Available for purchase here. Read interviews about this project for Bomb Magazine and Cluster Magazine. Art by Talacha.Net. Copy by Alexis Stephens and Kaye Cain-Nielsen. 04/10/2013 | Filed under Art, Product, Production.